Where should the ray origin be put in perspective camera ray tracing? and says that the $e$ is the ray origin, which is the same for all rays. However, I don't understand how is $e$ supposed to be selected. Can it be the zero vector? Or perhaps it's supposed to be the camera center? I don't get what you don't understand. 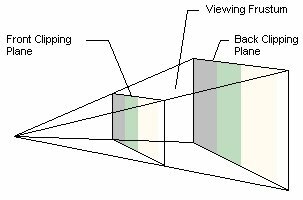 All rays originate from the camera so It's basically the start of the camera's pyramid or more technically the viewing frustum. Depends on the system you are using. Maybe your camera is fixed at the origin and only the world rotates/moves. In this case, usually the camera is fixed at the origin looking in either the +Z or -Z direction depending on if it's left or right handed coordinates system. So the ray origins will be fixed at (0,0,0). If your camera moves, however, the ray origins also move to where you place the camera. Is back-face culling considered a technique/optimization of ray tracing? What's the concept of “Ray” really?